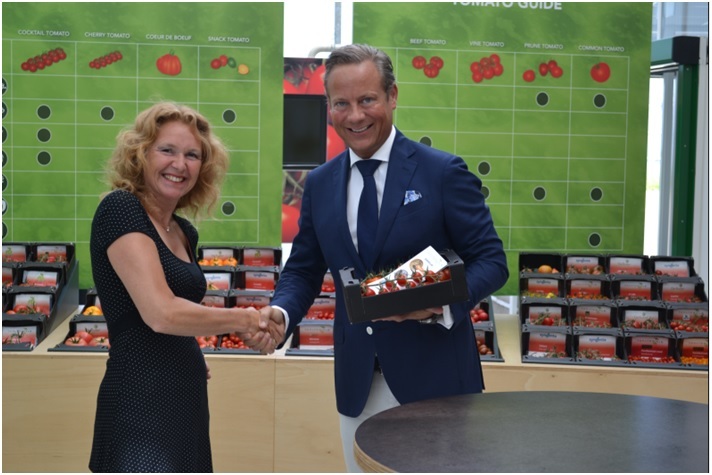 Codema Systems Group from Bergschenhoek has joined as a partner of information and education center Tomatoworld in Honselersdijk. Both want to contribute to creating a healthier and more sustainable world for future generations. Since 1958 Codema has been providing essential custom-made horticulture solutions. Over the past decades our holdings have built up an excellent reputation worldwide. By connecting with their customers and using knowledge and international networks Codema offers its customers maximum support to achieve set goals. The horticultural specialist from Bergschenhoek increases the operational efficiency of growers by applying extensive experience in the six core disciplines: water management, climate control, technology and construction, cultivation systems, electrical engineering and lighting, and software and web solutions. In this way they make sustainable (food) production accessible worldwide. Codema has been supplying products to the Tomatoworld foundation for years. But with the partnership, Codema also wants to make an active contribution to the world food challenge, as expressed by the new Tomatoworld exhibition since October 2016.